If you’re after a healthy alternative to the usual afternoon sugar or fat ridden snack options, here are some great recipes that will satisfy your hunger without the extra calories. 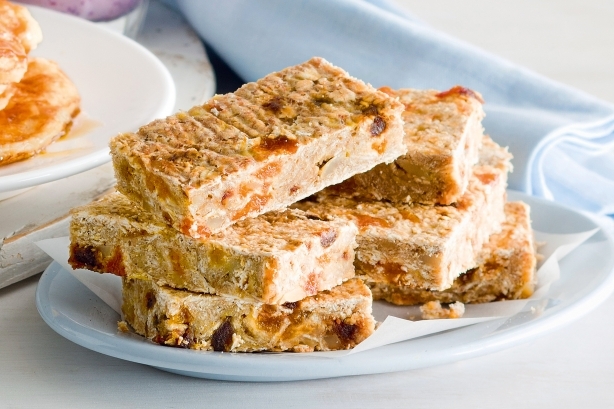 Perfect for breakfast on-the-go, or as a morning snack, these crunchy oat bars are packed with flavour in every bite. Preheat oven to 180°C/160°C fan-forced. Grease a 16cm x 25.5cm (base) slice pan. Line with baking paper, extending paper 2cm above edges of pan. * All nutrition values are per serve.